Logos: Google Images Mod, Template, and Pit Stall: Splash N' Go Graphics/Big Evil Racing. TMS wasn't working so I had to use an in-game screenshot, sorry about the Arris logos having no outline, I couldn't find a logo with them. 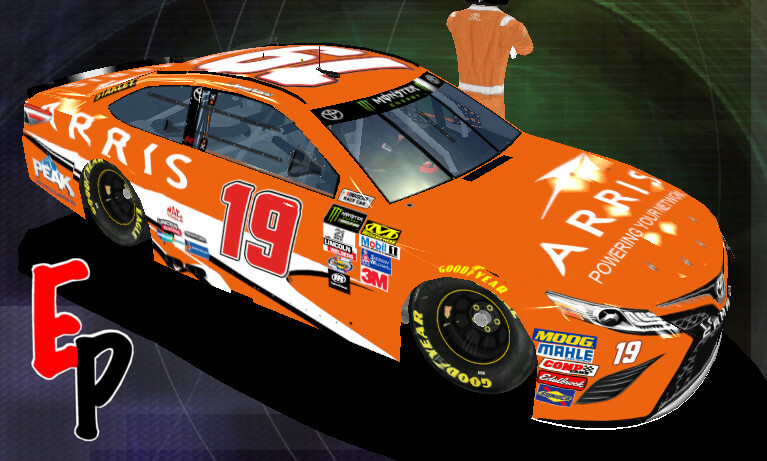 The passenger side number should be facing backwards and the Arris logos should have a black stroke around them by use of a stroke tool. But nice job otherwise!